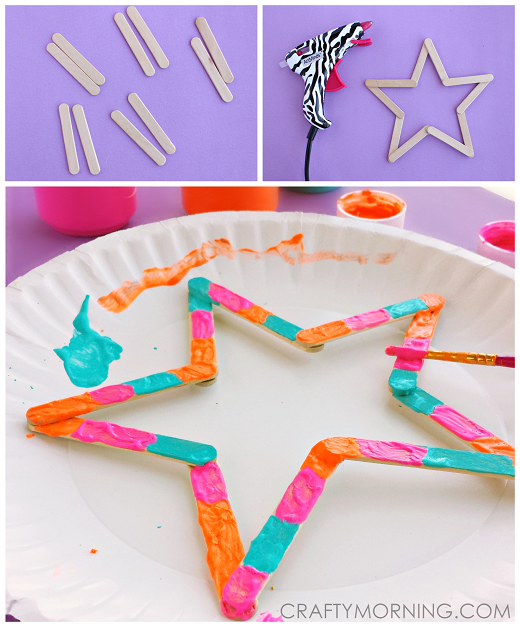 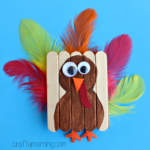 Start by arranging the popsicle sticks into a star shape. 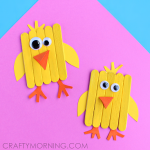 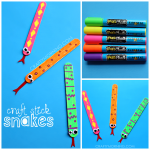 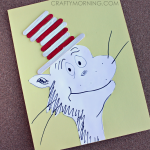 Heat up the glue gun and put a dot of glue at the top point to connect them. 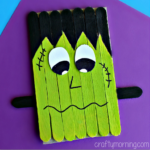 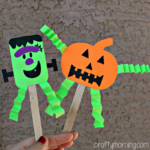 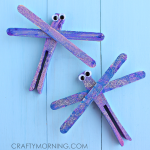 It can be kind of tricky gluing them so it makes a star so keep rearranging them before you glue! 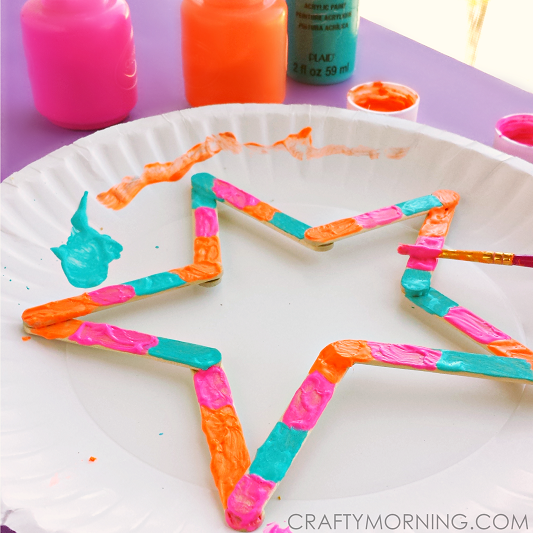 Pick out some neon paints and make designs on your star! 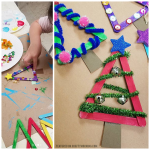 Once the paint is dry, string a loop of twine and hang up your stars.